"I pledge to help put a stop to plastics pollution, and keep our oceans clean." A truckload of plastic waste enters the ocean every minute. 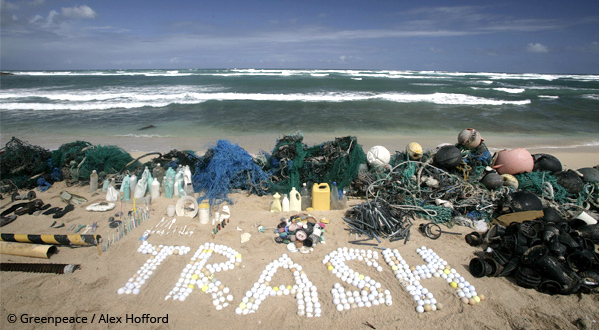 Up to 12 million tonnes of plastic end up in the ocean every year and will take centuries to degrade. An area of plastic rubbish three times the size of the UK has been floating in the north Pacific for decades - and every year thousands of turtles and other ocean creatures are harmed and killed by eating and getting entangled in plastic debris. 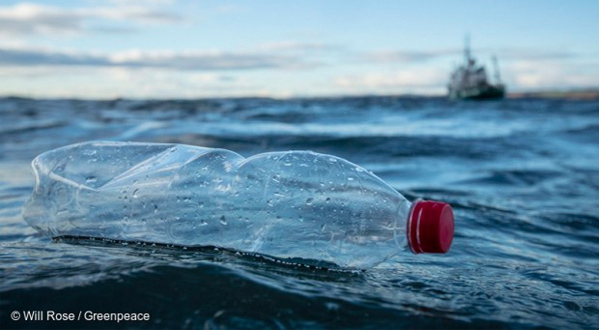 Greenpeace is campaigning hard over the next few years, to stop the flow of plastic pollution into our oceans. Our collection and recycling systems just can’t keep up with the surging numbers of plastic bottles that we’re being sold by the companies that produce them. Even though plastic bottles are made from one of the most valuable plastics for recycling, fewer than half of the bottles bought globally are collected for recycling and under 1 in 10 of those collected are turned into new bottles. In the UK, that’s as many as 16 million plastic bottles every day that are being dumped in our environment! You can cut your plastic footprint by carrying a reusable bottle. You can fill it with tap water for free, save money on bottled water and do your bit to limit the number of throwaway bottles harming our ocean life. These schemes - where a small deposit on a plastic bottle is refunded when it’s returned for reuse or recycling - are in place around the world, with millions of people using them. And they really work! Deposit schemes in countries like Germany and Norway have increased collection rates of plastic bottles as high as 98%. Scottish politicians are currently looking at introducing the scheme, and ministers in Westminster are under pressure to follow suit. Add your name to the plastics pledge to show your support. We'll keep you up to date with all the ways you can help. 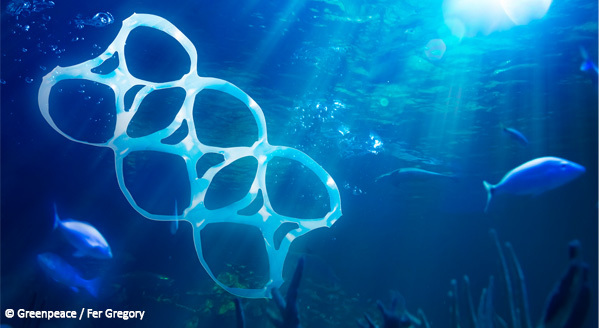 It’s clear that to protect the oceans we need to drastically reduce our use of throwaway plastic packaging. To do this, we need companies that produce and sell vast amounts of plastic packaging to introduce policies and set targets to cut their plastic footprint and move towards a closed-loop system of production. Reduce and reuse - prioritise reusable packaging and developing delivery systems based on reuse. Recycle - ensure all remaining packaging is made from 100% post consumer recycled content, as well as being recyclable or compostable. Disclose - the types and amount of plastic they use, reuse and recycle. Greenpeace is an independent organization that does not take money from corporations or government. We rely on individual donations from people like you.